20181108, Thursday, November 8, 2018, Boston, MA, USA, Brigham Health, Brigham and Women’s Hospital, Department of Nursing and Patient Care Services welcomed the Barnes Family to BWH on Thursday morning. The Barnes’ began the DAISY nurse recognition program after the passing of their son. 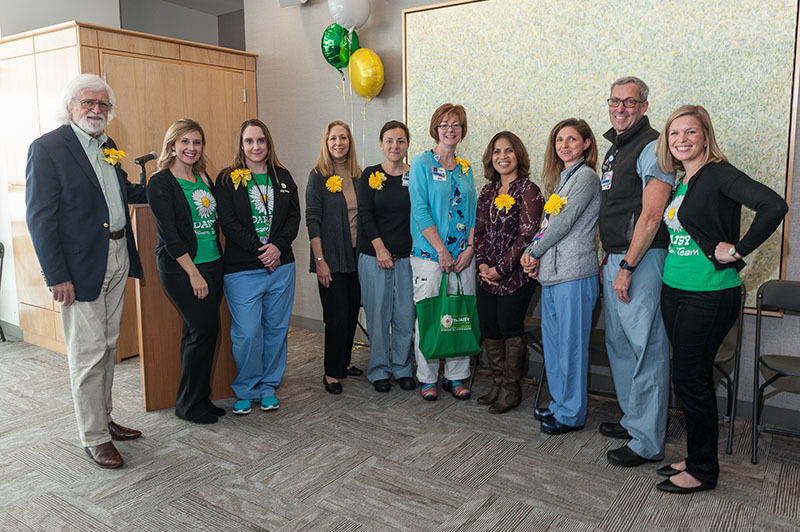 The Barnes’ were greeted in the main lobby by Maddy Person, CNO, and nursing leadership who had big DAISY balloons and then they walked over to the Shapiro Porch for the formal DASIY event. The Barnes family had exactly one hour to visit as they were traveling and passing through Boston.